Welcome to our website focusing on casino games played in bars and night clubs across the US, Europe and Asia. The games that you can find in nightclubs are on the surface identical to the games you can play in a casino. You can among other things play casino poker, black jack and roulette. If you look a little deeper you will discover that there are big differences between the the games in a bar and those in a casino. The rules for the games in the night clubs have been altered to give the house a lot higher edge than those that you find in a casino. 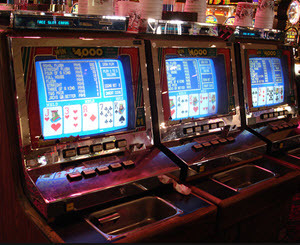 It is also common that the night clubs offer games that have added side games that are not available in the casino. These side games often offer the casino a large edge but can despite this sometimes be worth playing. You first instinct after hearing this might be to think that it is best to avoid playing casino games in nightclubs and bars. They do after all offer the establishment a high edge and should as such offer very little value for you as a gambler. The truth is however that these games can provide a lot of value for a skilled gambler. 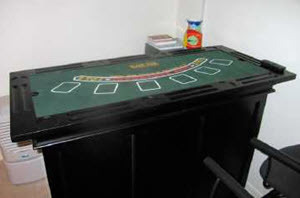 The games are often poorly managed and use equipment of a lower standard than that you find in a casino. The bars and night clubs rely on the fact that most of their gamblers are unskilled drunk players. A more skilled player can often easily win money at these tables by using advanced techniques and taking advantage of weaknesses in the games. It is seldom possible to make a lot of money playing in a bar. This is partly because they only allow for small bets and partly because they only have a certain amount of money. If you win enough you will bust the bank and the game will close for the night. Casino games in nightclubs might not be a big money maker but they can easily pay your bar bills. I went through college without ever having to pay for my drinks. I always made sure to pay for the night out at the black jack tables. Remember that some bars and nightclubs are operated by less friendly individuals and if you win to much you might upset the wrong people. Especially if you do it on a regular basis. If you instead only win a little, enough to pay for your drinks, then you are very unlikely to attract any negative attention. They might even appreciate your play as it shows spectators that it possible to win money. Spectators that might loose when they try to do the same thing. Spectators that think your skill is based on luck. Nightclubs and bars can in other words be an excellent place to win a little money but will not allow you to make a living out of gambling. 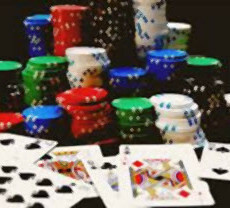 If you feel that you want gamble more or if you want to be able to play a larger selection of games than you should consider start playing casino games online. 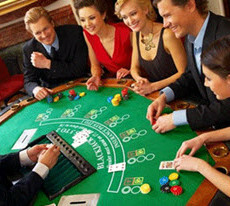 Playing casino online gives you access to hundred of games and can be done from your own home. It is impossible to consistently win money while playing casino games online. Casino games online is a pastime, nothing else. If your goal is to win money and perhaps make a living from your gambling then you should focus on online poker or online sports betting. Both alternatives allows you to make a living if you are good enough. On this website we will focus on teaching you how to leave the tables in your local nightclub as a winner. We will teach you the tricks you should know, the weaknesses you should look for and the games you should play. An example of this is blackjack with over-under side games. This game give you a good chance to win a lot of money. Start by counting cards to make sure that the table is loaded. That the remaining deck contain a lot of 10s. When it does then you are in an ideal situation. Start playing the main game and the side game. Always bet the over alternative. The over alternative will often occur with a loaded deck and will provide you with the edge you need to beat the house. Read more about how to use this technique and a number of other on my black jack page.